For me one of the keys to maintaining a fit and healthy lifestyle is picking big goals to motivate me. If the goal is big enough to scare me a little even better. Well the thought of running a marathon scares me more than a little. So I have decided to take the plunge and commit to running my first marathon. 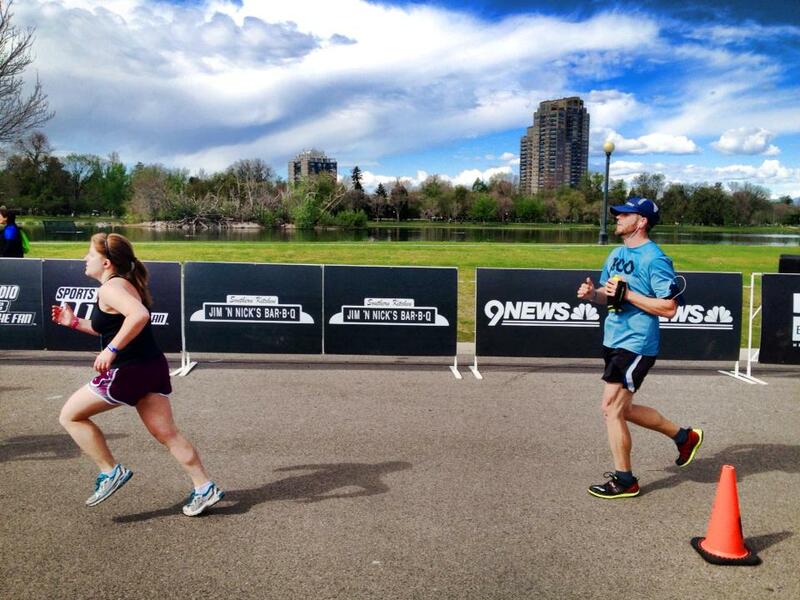 After doing research and reading reviews I choose the Colorado Marathon. I like the time of year, as it will allow me to train over the winter / spring when it isn’t too hot outside. It is also supposed to be a beautiful course that runs along the poudre river. When it comes to motivation I will take a beautiful course over screaming fans any day. My only concern about the date is that I will be peaking for the Marathon during couloir climbing season. I really hope I can find a way to fit in at least a couple of climbs. After a summer focused on mountaineering I am back to running 4 days a week. I am working on getting back to being “run fit” for the Rock and Roll 1/2 Marathon on Oct 20th. I feel like I came off the summer quite fit, while still being rested and healthy. In addition to completing the marathon I have some other goals I want to stay focused on during training. Be healthy! Running a Marathon is very stressful on the human body. I want to be careful to do things in a smart way that allows me to complete this big goal injury free, and more healthy than I started. Stay balanced: Obviously training for this is going to consume a lot of time and energy. I want to devote the attention that a race like this deserves, while still maintaining other areas of my life that are important to me. Eat Well! In order to be successful, and be healthy I need to focus on great nutrition. Find great gear: If you no me you know I am a gear head. I am motivated by quality gear, and have a lot of fun trying out new stuff. Be minimal: Last year I began transitioning to minimalist foot wear. While it has been a long and hard process, I love running in less shoe. I have also never felt healthier as a runner. I know that putting on this many miles in a truly minimal shoe will be difficult and may not be realistic for me. I intend to incorporate them as much as possible into my training, and run the marathon in the least shoe my body can handle.